Come home to the Country! Take the paved roads home to this well looked after 1.5 storey home in a truly beautiful rural setting. Just a few minutes East of Nanton off of the #533 Highway sits this established property with a mature shelter and glorious Mountain views! The opportunity to retire, relax or raise the family here truly knocks. This home has been well maintained and has undergone several recent improvements. New furnace and hot water tank in 2017, fully renovated bathroom, renovations in kitchen include- counter tops, back splash, sink, appliances,cabinet doors, hardwood throughout majority of main floor, new tile in the rear porch entry, new stairs going downstairs from separate entrance to 3 more finished rooms which currently house a small home based business. Majority of the windows in home are newer, master bedroom has a A/C unit. Large deck wraps around the South and West sides of the house. Outbuildings include a metal sided 20'x 20' heated workshop w/ cement floor and hot water. There is another 18'x20' metal sided garage. More cold storage in the two 12'x14' wooden grain sheds w/ metal roofs. Owners have installed a "Invisible Fence" to keep your pets safe. If you are looking for peace and quiet and the farm lifestyle without all the work then come and look at all the value being offered in this unique parcel. Home for sale at 163011 Rge RD 272 Rural Willow Creek M.D., Alberts T0L 1R0. 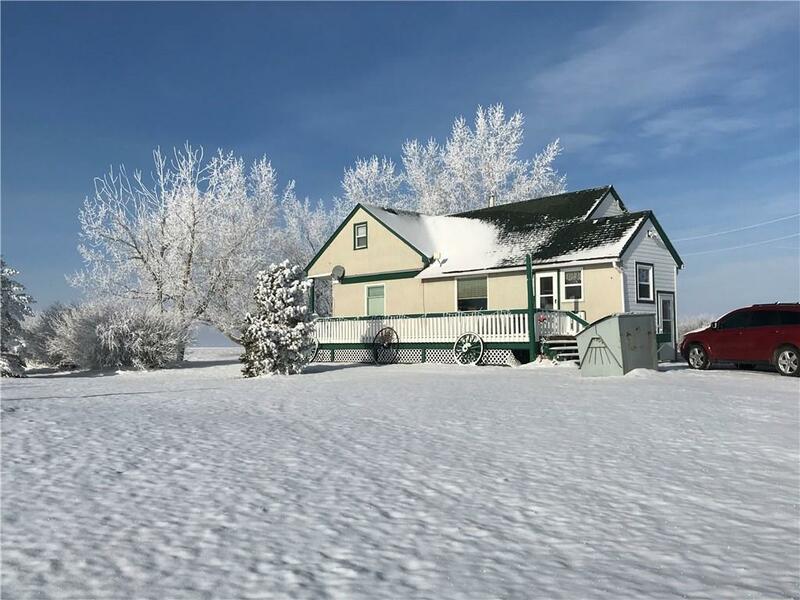 Description: The home at 163011 Rge RD 272 Rural Willow Creek M.D., Alberta T0L 1R0 with the MLS® Number C4222877 is currently listed at $395,000.